Phil Twyford on Newshub Nation. Credits: Newshub Nation. A new Crown agency with "cut-through powers" will consolidate both Housing New Zealand and KiwiBuild in a bid to tackle housing shortages of all types. Legislation will be introduced to Parliament next year to establish the Housing and Urban Development Authority (HUDA), with its first projects up and running by early 2020. 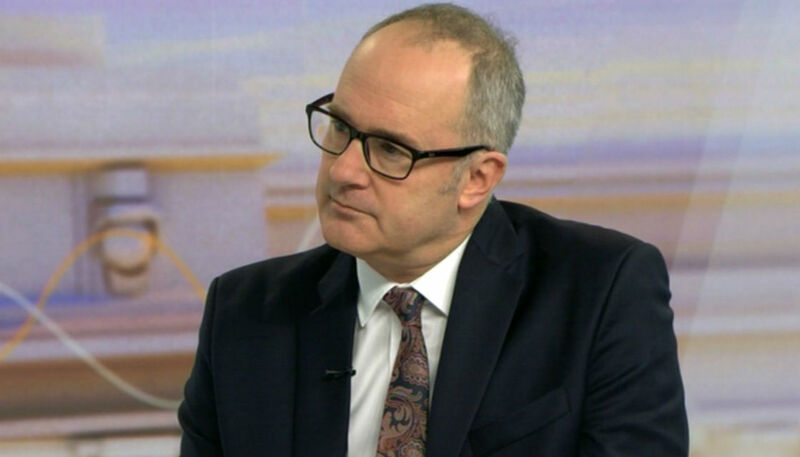 Housing and Urban Development Minister Phil Twyford announced the sweeping changes on Newshub Nation on Saturday. "It's a going to be a group that is the Government's delivery agency for housing, for building whole new communities. "Rather than have a whole lot of different competing agencies we're bringing together in one very capable and very focused organisation." The Housing Minister says the new agency will act "in partnership" with local iwi, councils and the private sector. The agency will also contain Housing New Zealand subsidiary HLC, becoming the Government's primary provider for housing. The minister was quick to assure that the transition would be smooth for existing social housing New Zealand tenants. "This means will no change, there will be no significant difference for those people. I want to reassure them that their rent, their tenancy arrangements, their houses - that's not going to change at all,"
The HUDA will have broad powers, including being able to ignore existing council designations, amend or write its own by-laws and grant its own resource consent, and councils will have no veto power. "It's going to be a tooled-up agency that can cut through the red tape." According to documents released by Mr Twyford on Saturday, New Zealand towns have "traditionally… grown by turning neighbouring rural land into suburban homes. "Second generation or 'brownfields' development is often difficult and risky with poor quality, aging or at-capacity infrastructure and disparate and fragmented land ownership. This means the private sector struggle to undertake these developments alone." In contrast, the new authority - expected to be in place by 2020 - will "have access to a range of statutory powers that better enable development when undertaking complex projects at scale and pace". charge targeted rates in project areas, and seek 'betterment payment' from landowners for transport projects. At present, the powers listed above are spread between different agencies in both local and central Government. The HUDA will also have the power of forced acquisition, where private land owners can be can be forced to sell to make way for a development, though the minister says the powers are just "in the back pocket". Mr Twyford says the HUDA will have $100 million injected to "get it started", but Mr Twyford says the fund will also also have access to KiwiBuild and Housing NZ Funds. "Over the coming months, we will continue to communicate the progress we're making on our KiwiBuild and state home build programmes and further detail on how the urban development authority will operate," said Mr Twyford. "We'll be partnering with local government, iwi, and the private sector to create communities where everyone can thrive." He says the authority will build on the success of "master-planned developments" like Auckland's Hobsonville Point, "transit-led" developments like west Auckland's New Lynn, "urban regeneration" such as that seen in Britomart and Wynyward Quarter, and current developments in Mangere, Mt Roskill and Tamaki, and Porirua in the south.